We started work on Housing.com when the market was already filled with category-leading players. Our core focus as the company’s Public Relations agency was to formulate a clutter-breaking strategy and bring out Housing.com’s differentiating features. We successfully established the brand as a unique player in its domain and found media visibility for its unique selling point: The focus on validated data that was hitherto missing in the market. In a short span since its inception, Housing.com won accolades across the country for its emphasis on the best quality data backed by great design. 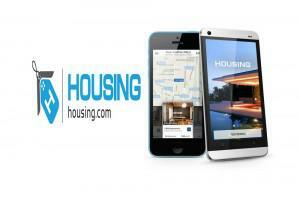 It was recognised as ‘India’s first map-based home search portal’. We also succeeded in highlighting the brilliant visualisation and the intuitive and user-friendly interface that Housing.com offered, enabling it to not just garner greater media traction but also get a large number of users on board. With our focussed and integrated Public Relations strategy, Housing.com fostered its key proposition of completely cutting through inauthentic information in the media and public mindscape. We engineered a widespread campaign to make its key message known. Today, Housing.com has managed to outdo older competitors and has carved its niche as a first-of-its-kind data science laboratory for the real estate industry that helps users mine and analyse data on a constant basis.